For many students and families, a critical trip looms large: the campus visit. There’s a lot at stake—a conversation with an admissions officer, applying for financial aid, and discussing with college representatives about which school is the right school. But what about the thousands of California students who want to learn more about an HBCU education, but can’t afford the trip to an UNCF HBCU campus? 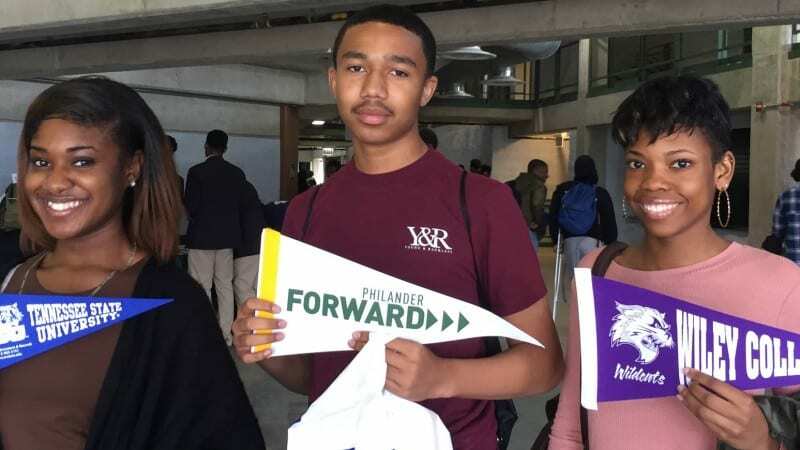 For them, UNCF San Francisco brought the UNCF Empower Me Tour (EMT), a traveling college road show that brings some of the most important parts of campus visits to where students are: Oakland. UNCF-San Francisco hosted its EMT at the Scottish Rite Center, with over 550 students attending. More than 19 HBCUs awarded over $1.4 million dollars in scholarships. Benedict College awarded over $780,000 in scholarships. Five students received the Merit Target Scholarship, valued at $5,000 each. "Winning this scholarship allows me to accomplish my goals without the guilt of adding extra costs to my family," said Oakland native Edwin Perez, whose family had immigrated from Mexico. Students could also meet with HBCU representatives and attend workshops on topics such as maximizing their high school experience, how to pay for college, and success through scholarship. The event concluded with the second annual "Tied for Greatness ceremony," in which students were given neckties and shown how to tie them. It was the next best thing to visiting an HBCU campus, all without leaving Oakland.